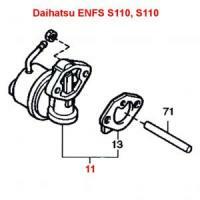 Genuine Daihatsu Factory Replacement Part. Fuel Pump Only (Item 11 & 13) Other items sold separately. We carry Fuel Pumps for all JDM vehicles; send us an email for further information on other vehicles.